Don't miss the 2019 ASDC Conference hosted by the Delaware School for the Deaf in Newark, Delaware! At this family-friendly conference, you will gain new skills, make new friends, and create lasting memories. Best of all, you will leave the conference with a renewed sense of confidence in helping your deaf child learn, thrive, and succeed. Hurry! Early bird pricing ends April 30. Don’t wait! Our discounted room rate is available until May 26 or until our rooms sell out, whichever comes first. BY PHONE: Call (302) 454-1500 and press option #1. Our conference theme, 21st Century Partnerships, recognizes the importance of a team approach. 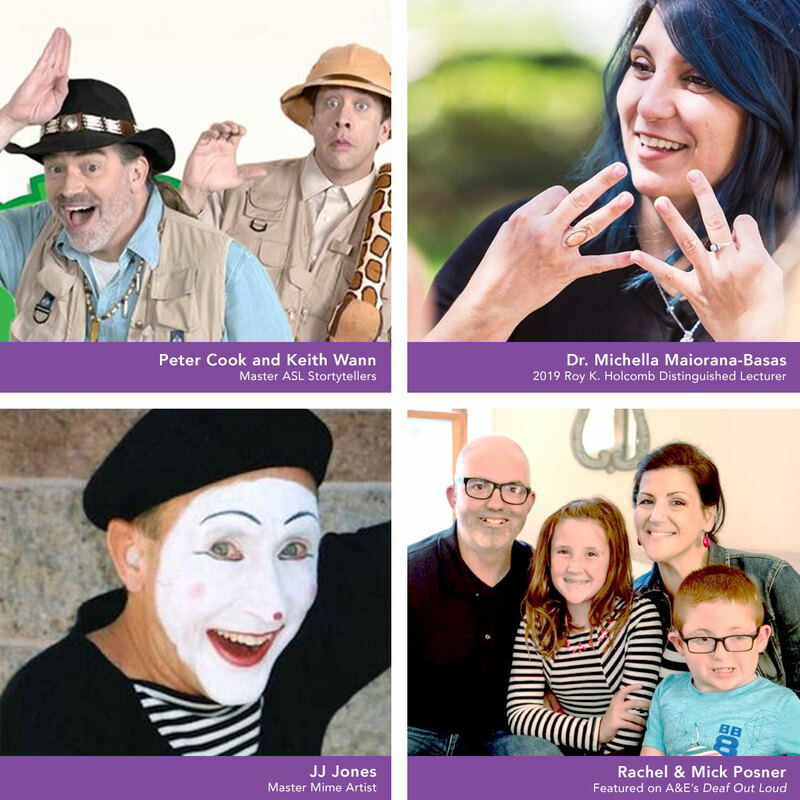 Our sponsors and vendors demonstrate a dedication to ensuring that the 21st century offers limitless opportunities for every deaf child. Support our amazing conference sponsors! Click below to visit our sponsor/vendor websites and learn more about the many ways they support our community.